With the State of California recently listing the objects at Tranquility Base as a historic site (for a recent story on this see here), I have been thinking again about the intersection of national and world heritage, and the legal issues around interpreting the extension of national jurisdictions into space as equivalent to making territorial claims. Australia has the potential for an interesting twist here. Only heritage places on national territory of some kind can be registered on the Commonwealth Heritage List, but there is the capacity to recognise sites of significance to Australia in foreign territories on the List of Overseas Places of Historic Significance to Australia. The List of Overseas Places of Historic Significance to Australia recognises symbolically sites of outstanding historic significance to Australia located outside of the Australian jurisdiction. It was established by the Environment Protection and Biodiversity Conservation Act 1999 (EPBC Act) on 1 January 2007. With this new list, Australia can recognise and celebrate those overseas places of greatest importance to the development of our nation in a way that is respectful of the rights and sovereignty of other nations. The list helps tell the story of the most significant parts of Australia's history that occurred outside our borders. OK, so the overseas bit isn't perhaps helpful here, but you could certainly argue that space was "over the sea" in terms of being above the sea, if one wanted to get all semantic. The respectful of the rights and sovereignty of other nations bit is more helpful in terms of the Outer Space Treaty. Currently there are three places on the Overseas List: Anzac Cove (Turkey), the Kokoda Trail (Papua New Guinea), and Howard Florey's Laboratory (UK). What if we wanted to list Australia's historic satellites in orbit? There's really only two, Australis Oscar V and FedSat (still in orbit as far as I know). The Overseas List is symbolic, so it does not imply a territorial claim. You could argue that California's listing of Tranquility Base is just as symbolic, given that enforcing it may prove more than slightly tricky. But there is a legal difference here that may be worth exploring. Lunakhod 2 located on the moon - a new heritage site. The tracks were clearly visible on the moon's surface, leading lunar sleuth Phil Stooke straight to the long-lost Russian rover — and effectively solving a 37-year old mystery over the craft's location. "There is a black dot where the track stops and that's the rover itself," he said. When NASA released on Monday images and data from the Lunar Reconnaissance Orbiter (LRO), revealing the moon's surface in unprecedented detail, Stooke wasted no time finding the Lunokhod 2, one of the first remote-controlled rovers to beam back pictures of craters and moon rocks. "The tracks were visible at once," said Stooke, who set up a searchable database to sort through the new NASA images. "We can see where (the rover) measured the magnetic field, driving back and forth over the same route to improve the data. "And we can also see where it drove into a small crater, and accidentally covered its heat radiator with soil as it struggled to get out again," he added. "That ultimately caused it to overheat and stop working. And the rover itself shows up as a dark spot right where it stopped." NASA's Lunar Reconnaissance Orbiter is on a one-year exploration mission from a perch about 50 kilometres above the moon. The plan is to produce a comprehensive map, search for resources and potential safe landing sites. Stooke — a professor at the University of Western Ontario who has written extensively about lunar exploration — hopes it will also enable him to find other lunar relics. The travels of Lunokhod 2 and its companion rover also marked "the first time anyone ever drove something by remote control on another world," said Stooke, author of The International Atlas of Lunar Exploration. He plans to update the book, published in 2007, with the new images of the rovers that he speculates may one day need protection as "historic sites." If space travel ever becomes routine, he chuckled that someone might need to draw a line around the early rovers and say: "You can't come any closer than this." LOS ANGELES (AP) — The deep space antenna that relayed Neil Armstrong's famous "one giant leap for mankind" declaration from the moon to a rapt American audience will be offline for eight months for repair. Work begins this week to replace a steel donut-shaped bearing on the aging 230-foot-wide dish at the NASA Deep Space Network site at Goldstone Dry Lake in the Mojave Desert about 150 miles northeast of Los Angeles. The labor-intensive process, which will involve jacking up 9 million pounds, will keep the antenna out of service until at least November. "It's not trivial," said Pete Hames of NASA's Jet Propulsion Laboratory, who is in charge of maintaining the antennas at the Goldstone complex. Besides California, tracking stations in Australia and Spain make up the Deep Space Network. Together, they point nonstop to the sky, sending commands to robotic spacecraft millions of miles away and listening for their often faint replies — communication streams filled with images, scientific findings and operational data. During the repair, interplanetary communications will not be disrupted, said deputy project manager Wayne Sible. Missions that normally depend on Goldstone, such as the Spitzer Space Telescope, the Saturn explorer Cassini, various Mars spacecraft and even the Voyager 1 probe — which sailed to the edge of the solar system — will instead communicate through other giant, bowl-shaped antennas near Madrid, Spain, and Canberra, Australia. Engineers chose to do the repair this year — at an estimated cost of $1.25 million — so that the Goldstone antenna would be ready next year to support the launchings of the Juno spacecraft to Jupiter and the long-delayed Mars Science Laboratory to the red planet. It's the first major work done on the antenna since the 1980s when it was enlarged to its current size. Engineers said the bearing, which helps it turn sideways, has worn out after more than four decades. The Goldstone antenna is steeped in history. During the Apollo 11 moon landing in 1969, it captured Armstrong's words and sent them on to American televisions while the image came through another antenna. Its other accomplishments include receiving the first close-up views of the outer planets and their moons. NASA last month broke ground in Australia on a new generation of smaller but advanced antennas that would eventually replace the workhorse fleet of 230-foot-diameter dishes around the world. The need to "sweep space clean"
THIRUVANANTHAPURAM: Space debris can threaten long-term sustainability of space programmes, Indian Institute of Space Science and Technology (IIST) director Dr B.N. Suresh said on Tuesday, stressing the need to sweep space clean. Inaugurating the 28th conference of the Inter-Agency Space Debris Co-ordination Committee (IADC) at the Technopark here, Dr Suresh said that there has been a 13 per cent increase in debris in 2009. 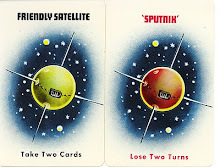 ``Satellites have become an integral part of human society. But unfortunately orbital debris pose a serious threat,’’ he said. Space agencies of Italy, UK, US, Japan, Ukraine, Russia, France, Germany and the European Space Agency have sent representatives to the four-day conference which will deliberate on future courses of action. Around 100 delegates are participating. Dr V.Adimurthy, IADC acting chairman and ISRO representative, said that ISRO was committed to reducing the threat of space debris. ``It’s a continuous process. We had recently released a manual on protecting man-made assets in space.,’’ he said. ISRO was also looking at developing radar and optical systems for tracking space debris, he said. Figures furnished by the European Space Agency (ESA) on Tuesday show that traceable man-made objects in space numbered 36,131 in 2009, but they could go up to 1,27,884 by 2040, projections showed. The IADC is a platform for space agencies to share information and devise strategies to mitigate the threat posed by space debris. Today, all major space agencies are actively involved in its activities. VSSC director P.S.Veeraraghavan was also present. A 12-member Chinese delegation was to have attended the conference, but they were not present on the inaugural day. Here are some of the pylons at the Minitrack site, Orroral Valley Tracking Station in the Australian Capital Territory. My recent field survey here was funded by an ACT Heritage Grant (thanks, guys!). A review of "Contemporary Archaeologies: Excavating Now"
Holtorf, Cornelius & Angela Piccini (eds.) 2009 Frankfurt/Main: Peter Lang. 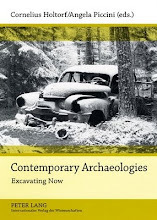 Contemporary Archaeologies is an interesting edited collection from mostly European contributors. The focus is on the ties between today’s changing conceptions of what archaeology is and the study and preservation of recent material culture and heritage. 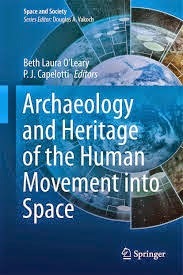 In the introduction editors Cornelius Holtorf and Angela Piccini argue that they are not trying to promote a new period of specialization but state instead that all archaeologies are contemporary because the past and present are conceptually combined (cf. Holtorf 2008). Archaeology is also viewed as an event within and a result of our contemporary world; hence the statement the book "marries archaeology in the modern world with the archaeology of the modern world" (p. 16). Holtorf and Piccini also present their introduction in the form of a dialog such that their individualism is apparent. The book is divided into four parts. Part one discusses the character of archaeology. Julian Thomas starts off by highlighting some of the main ideas developed in his Archaeology and Modernity (2004). To him archaeology "embodies and condenses the modern condition" and that it is unlikely that archaeology would have developed under other historical circumstances (p. 33). Thomas then describes the depth metaphor of archaeology--that time is stratified in layered containers--and parallels this with Sigmund Freud’s idea that the mind is stratified with the deeper layers tied to the past of the individual and the human species. Cornelius Holtorf follows with a discussion of archaeology within the Experience Society, his description of contemporary society’s emphasis on feel good experiences. He reviews how archaeology is often portrayed at theme parks and other themed contexts (cf. Holtorf 2005, 2007) and argues that archaeology is mostly in the storytelling business. Sarah May discusses the material culture that goes along with people’s interests in and dealings with tigers, and, this material culture is patterned depending on if the tigers are wild, performers in a show or zoo, or are pets. From this analysis she makes an important analogy between the conservation and rescue of tigers and archaeological sites. For archaeologists, the twentieth century has yet to be rescued; it is "wild and dangerous but powerful" (p.78). Part two discusses the need for and means of recording and preserving twentieth century heritage. Mike Pearson describes the contexts, assemblages, and formational processes of early expeditionary material culture found within Antarctica. After discussing the history of and artifacts associated with several expeditionary huts he concludes that this material culture could be displayed as a performance such that meanings are "successively presented, challenged, confounded, inverted, and reinvented" (p. 93). Next, Colleen M. Beck, John Schofield and Harold Drollinger describe their social and political experiences while investigating the Peace Camp adjacent to a federal nuclear testing and experimentation area in Nevada, United States. The Peace Camp has been regularly used since 1957 for numerous protests and confrontations. The Camp was surveyed and has hundreds of features and artifacts that can be mapped and analyzed, just as archaeologists study other encampments. As the land is administered by a federal agency federal laws about historic preservation and archaeology apply. Interestingly, these researchers were told by the agency archaeologist that their work was not archaeology and that the "protest site had no legal historical significance" (p. 104). Louise K. Wilson concludes part two with a discussion of recording Cold War era sites in England; she reminds us that sounds are artifacts. Her mission was to find new ways to attract visitors to these heritage sites and engage them in new ways. This leads to recording the sights and sounds of rocket testing and launch sites, especially of wind, weather, and sea. She also describes how some buildings are used by choirs for rehearsals as the acoustics are similar to churches and theaters. One sound she was interested in documenting was the throb of machinery; she was able to record a working centrifuge and then use the sound track within a dilapidated centrifuge building. A number of visitors were emotionally impressed with this experience. Part three discusses new dimensions of materiality. Mats Burström describes an old car dump and junkyard in Sweden, in use from the 1930s to the 1970s. The dump is referred to as a car cemetery and the property was the home of a thrifty old loner. Today, visitors are struck by the site’s austerity and quality of gradual disintegration; its decay is what makes it interesting. This quality stumps local heritage planners who are inclined to view the site as garbage, or, if it is to be called heritage, then they want to stabilize it, stopping the decay. After some conflict over this, the public has won out and the cars rust in peace. Jonna Ulin offers a family archaeology; she describes her excavation and memory-work of her grandmother’s home in Sweden. Her data consists of excavated material and her recollections from her childhood, as well as family secrets, stories and photographs. She is not interested in linear time but in the "space of the past" (p. 145). 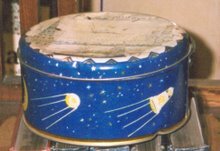 Alice Gorman completes part three while discussing the material culture of space exploration and the significance of the post World War II Space Race. Space industries both represent nationalist ideologies and agendas, and are the very instruments that reduce the economic relevance of nation states (p. 176). She concludes with a call for an inclusive view that takes into account all participants in the development of space technologies. And finally, Part Four offers thoughts for the future. Angela Piccini explores the potentialities and limitation of archaeological practice and camera based technologies. She offers an open-ended essay about a walk down a gutter, her video of it, describing what she saw, her thoughts and memories, with a little commentary in between. For her, documenting the material culture of gutters and the recording of it is a performance. Cameras are used not to transmit knowledge but to be a creative treatment of actuality. Although certainly scripted, the essay appears as unscripted fragments of ideas stimulated from walking along a gutter. Paul Graves-Brown concludes the book with a discussion of privacy and individualism. He briefly reviews the literature about privacy and argues that the privatization of experience is important to archaeology because the organization of space changes along with the evolution of privacy. A key concept within modernity is this individualism/collectivism pairing. As the editors began with their individualism displayed it’s appropriate to conclude with this topic. While this is not the first book to discuss the archaeology of the twentieth century I think it does push the discussion along quite well. I applaud these efforts because the century forces the profession to rethink its theories, methods, and overall intellectual perspectives. For archaeologists, it really is untamed territory. I laughed when Beck, Schofield, and Drollinger described their problems with a federal agency. They were told that what they were doing was not archaeology. New ideas are needed to tackle twentieth century material culture and if that means reinventing archaeology, that’s okay with me. To say that "archaeology-is-contemporary" and the "past-is-now" is certainly reasonable from this perspective. However, such statements are limited by the same constraints that the earlier conception (i.e. past, present, and future are conceptualized separately) had. Eventually, all concepts become stagnant and less useful. For now, the utility of these fresh ideas is bright but complicated. Those anthropologists and archaeologists who prefer rationalism and linear time will likely find the book uninteresting because it is fully spatial, non-linear, cyclical, and intuitive, consistent with the general trend of our feel good romantic society. Many progressive academics will likely be inspired by the book, and we can expect them to continue pushing the conceptual envelope well into the twenty-first century. Archaeologists in the compliance driven heritage industry will see the difficulty in applying the new ideas within a bureaucratic environment. For many the future of archaeology is blurry because we don’t know what it will look like. 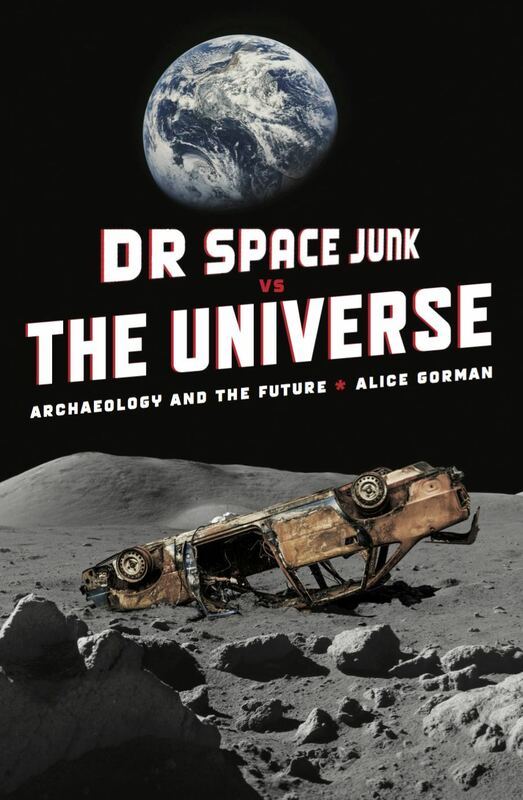 If we adopt the idea that the future-is-now then we likely do know something: archaeology could become very much like what is presented in this book. This begs the question why the subtitle "Excavating Now"? Only one essay mentions this traditional archaeological activity. Is it possible that archaeologists will come to rely less on excavation and more on above ground material culture and landscape analyses? This is quite possible. More than most, Holtorf (2005, 2007) is well aware that excavation is a key element in defining "what is archaeology". Perhaps he and Piccini are telling us that the metaphor of excavation is more important than its actuality. Level/Use: Suitable for graduate students, special study courses on theory, method, & intellectual trends. Holtorf, C. 2005 From Stonehenge to Las Vegas: Archaeology as Popular Culture. Walnut Creek: Altamira Press. Holtorf, C. 2007 Archaeology is a Brand! The Meaning of Archaeology in Contemporary Popular Culture. Oxford: Archaeopress, and, Walnut Creek: Left Coast Press. Thomas, J. 2004 Archaeology and Modernity. London and New York: Routledge. Moore, Lawrence 2009 Review of Contemporary Archaeologies: Excavating Now. Anthropology Review Database. December 01. Electronic document, http://wings.buffalo.edu/ARD/cgi/showme.cgi?keycode=3412, accessed March 4, 2010.